For Nicko Eigert the head honcho of Smoked Garage it was just another day at the workshop when he arrived to find a customer sitting at the front door post their morning surf. 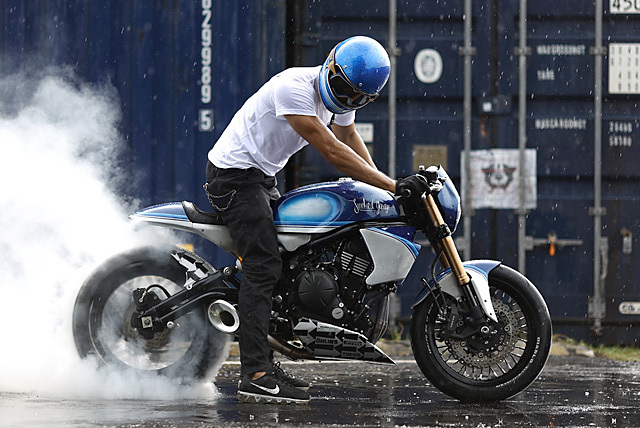 They’d hoped to see the insane Bronco Racer but Nicko had to break it to them that the world’s most incredible Ninja 650 had already been sent to Australia. 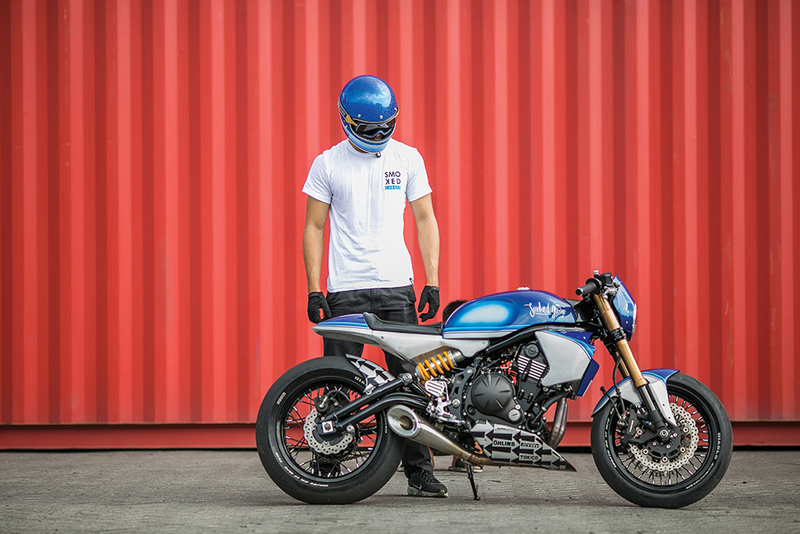 But over the next few hours and with plenty of Indonesia’s finest coffee consumed, client and creator formulated a plan to build an equally special machine that would satisfy those earthly desires adding an homage to the waves. 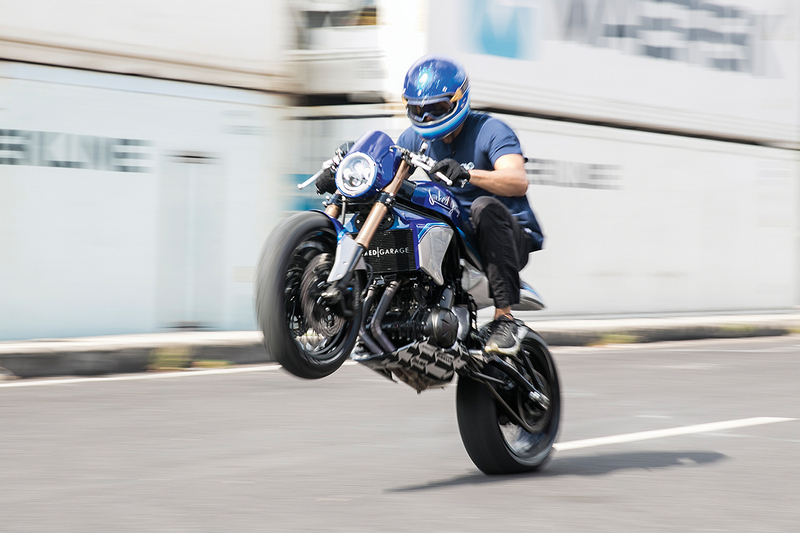 Immediately Nicko was on the hunt for a new bike that had lightweight handling and the power to get the job done, once again it would be an old friend to the rescue, “As luck would have it our friends at Kawasaki had one left in stock. 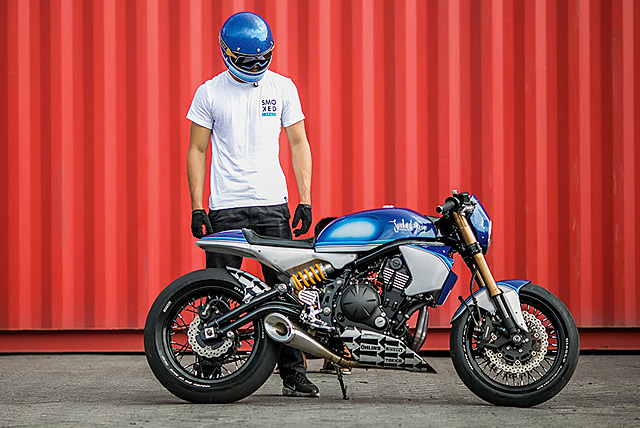 They were eager to see us transform an Ninja 650 again so they did us a great deal and the project was underway.” The idea was to create a modern machine that still retained many of the key elements of the Cafe Racer’s heritage and unique appeal; while exploiting many of the benefits that come with a new bike. With the Kawasaki up on one of the many Smoked Garage bikelifts and quickly stripped of its clothes, the team could begin to visualise how to make it all come together. “We strive to be innovative with our approach, which always has us encountering new problems to overcome. The Sublime’s tank was one of the first things to test us. We didn’t’t want to mess with the air box as it would introduce fuel mapping problems, so we had to build the tank around it.” Exceptionally proficient in the use of Aluminum, the material was used throughout the bike for all the bodywork and while some of the team began hand forming pieces others were working out how to make it fit. Wanting to keep a low stance the upper section of the frame required modification to allow the new tank to sit neatly over the airbox while the lower section of the frame was given additional bracing. The smooth rounded shape of the alloy tank is not like anything fitted at the factory and with beautifully sculpted knee dents, machined filler cap and frame hugging lines it fits the Cafe Racer brief to a tee. The tail and seat section offered just as many challenges as modern frame construction doesn’t lend itself to easy modification like older tubular designs. As Nicko explains the ability to adapt on the run becomes essential, “Originally they were supposed to be a one piece design, but when we started building it we realised that for it to function right it would have to be larger and would most likely look ugly, so we made it in 3 sections.” The finished pieces combine to deliver an incredible result with form and function everywhere your eye takes you. 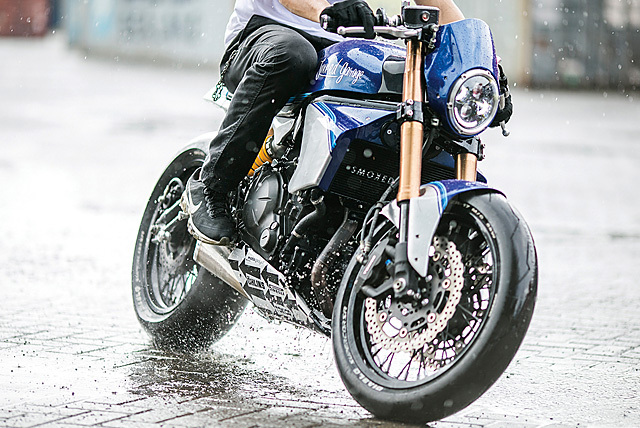 The underside creates a tyre profiled upper fender, while the tail section is the perfect Cafe styled hump but with low lines to mirror the shape of the tank. 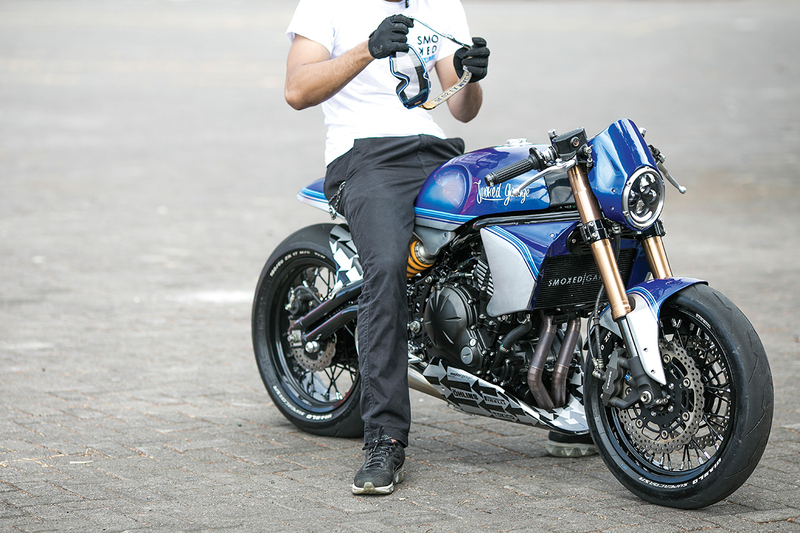 Initially the rear end was to wear a traditional Cafe tail light as well, but sticking up it spoilt the perfect lines the team had created; no panic, a new solution was found by frenching a light into the tail piece and then making a grille to cover it. The frame matching black seat does its job without drawing the eye and extending the alloy work to cover the upper shock mount is an inspired detail that goes the extra mile. 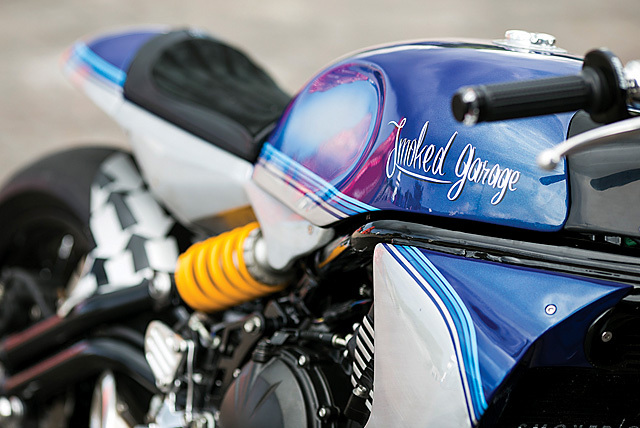 With more alloy to shape there was no stopping the Smoked Garage team, the next piece to be hand beaten was the stunning single piece fender that shows just how far their skills with the metal have developed. Mere mortals would form separate supports but the single piece with unbroken lines is executed to perfection. The next items on the list were the multi-piece radiator cover and single piece belly pan that create a visual mass centralisation giving the twin cylinder powered Kwaka a much more masculine feel. The rear hugger truly gets up close and personal with the big tyre while the final piece, the headlight surround is beyond even what factories produce with perfect fitment and neat holes for the cables to run behind. Then it was time for some colour, “Choosing the paint was the slowest part of the build. It took us 2 weeks to get it right, mixing and spraying different samples until everyone agreed we’d created something really special. 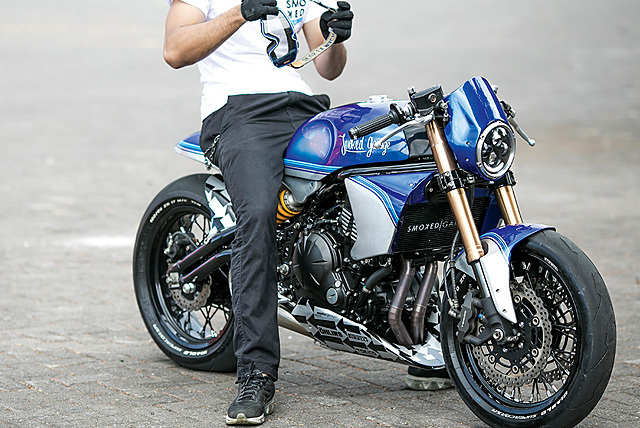 It was this process of testing and searching for a colour that wowed us all that lead to the bike being named ‘Sublime’. The final result is achieved using the custom mixed Sikken translucent deep blue that when contrasted with the stark white gives the appearance of entering the ocean depths from the inside out. 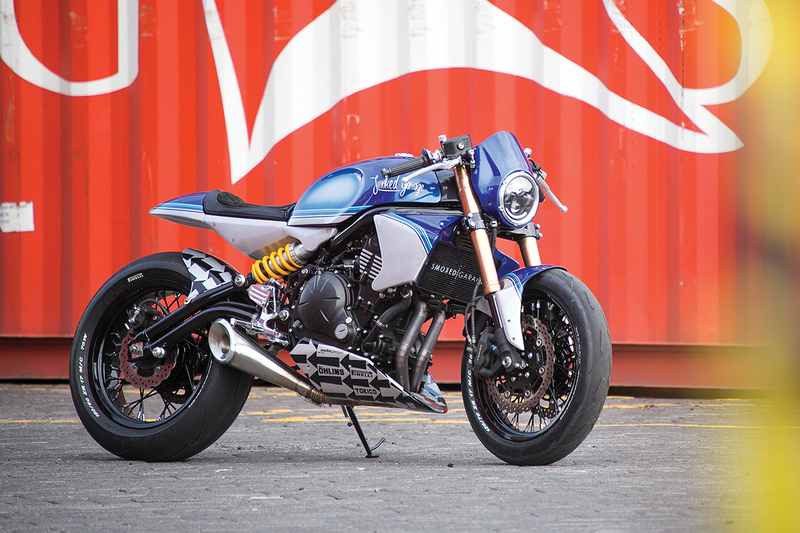 The silver areas are raw alloy that has been given the brushed treatment and black graphics on the lower half help to give the Kawasaki a more aggressive feel. Bringing it all together is a run of stunning hand laid pinstripes with the airbrush given a twirl to create the subtle effects and Smoked Garage logo. Coating it all is Sikken’s deep gloss clear that has been laid down over and over again until the paint below begins to form an almost 3D effect with its depth. Right in the middle of this artistic masterpiece is the ever reliable Kawasaki 650cc parallel twin that while dressed in black and small in size belies its ability to produce plenty of useable power. It responds brilliantly to exhaust modifications and Nicko didn’t let it down with a hand-made 2 into 1 system with some of the lobster cuts left on display and venting to atmosphere through a wild side exit can. While there are some extra ponies onboard the real performance improvements come in the handling stakes with a total redesign front and rear. 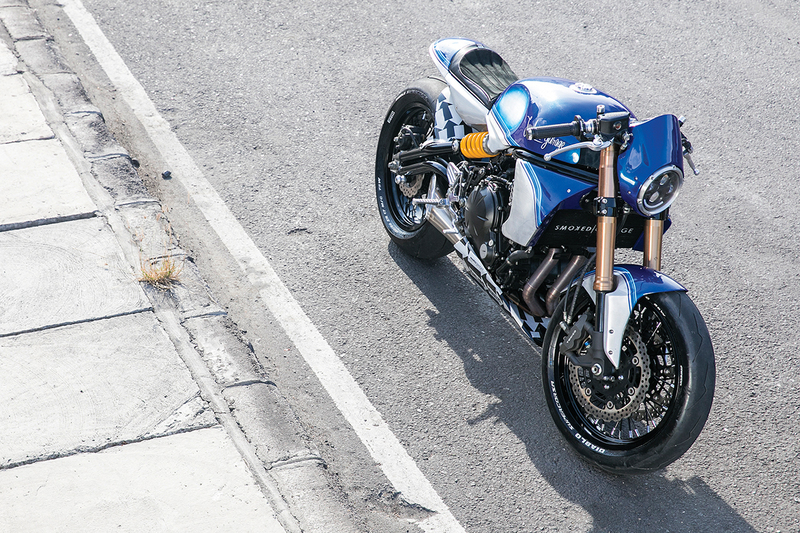 The standard telescopic forks have been swapped out for a set of the always faithful Suzuki GSX-R1000 USD items. 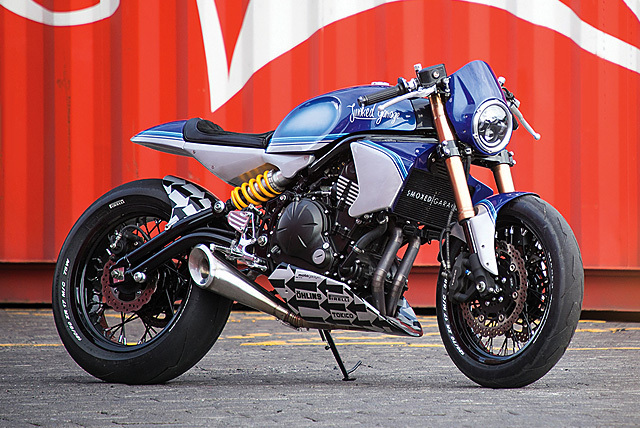 But as shown by the all-conquering Ninjas that run at the Isle of Man the biggest single improvement you can make comes in the form of an Ohlins rear shock and the yellow Swedish giants are here to play ball. 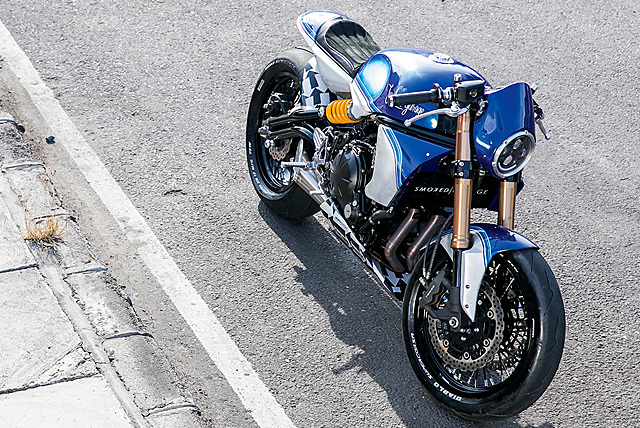 With a change to the front end it made sense to switch to the Suzuki rims and so a custom rear hub was required to mount to the factory Kawasaki swingarm. Before they were bolted in place both front and rear wheels were re-laced with fat spokes before the rims were wrapped in super sticky Pirelli Diablo SuperCorsa rubber. 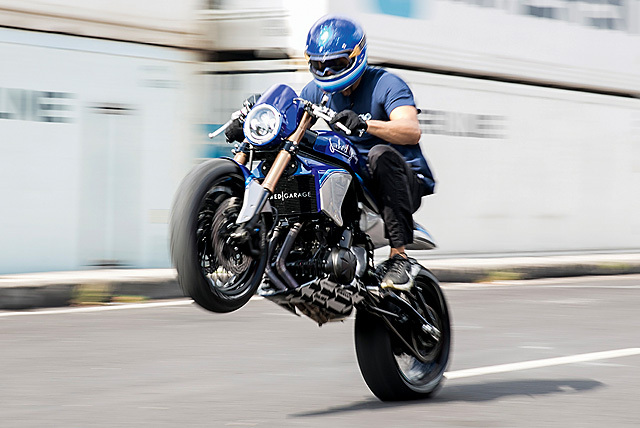 Finally to provide the sort of braking needed to ride this bike hard on the Kuta streets the twin rotors are now clamped by big Tokico calipers with the power coming front and rear from a pair of Brembo master cylinders. With such quality workmanship throughout and big dollar components used, fitting the final accessories was no time to back off and the clip-ons show the way wearing big dollar Italian Rizoma levers. Motogadget takes care of the electrics department with an m-Unit controlling the show, with the rider grabbing onto Motogadget grips, pressing m-Buttons and with the companies bar end indicators fitted up as well. 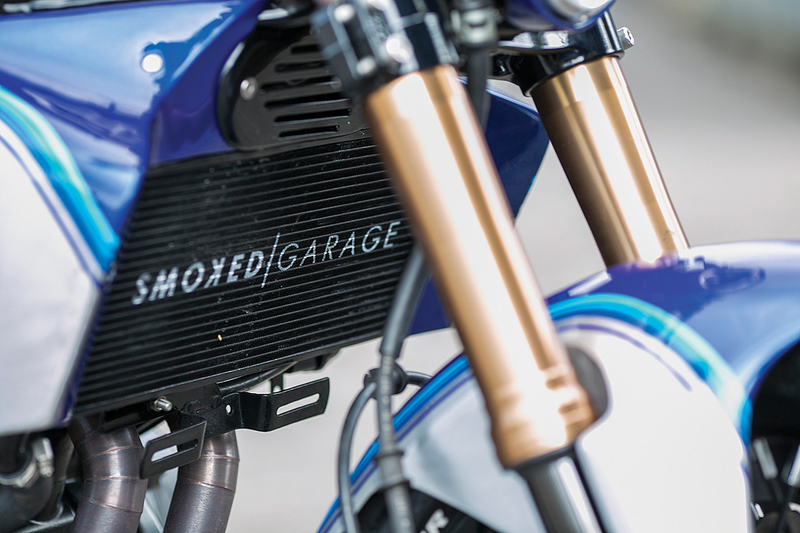 The keyless ignition makes for cafe cool starting and the final touch, recessed into the headlight shroud is the stunning Chronoclassic speedo. 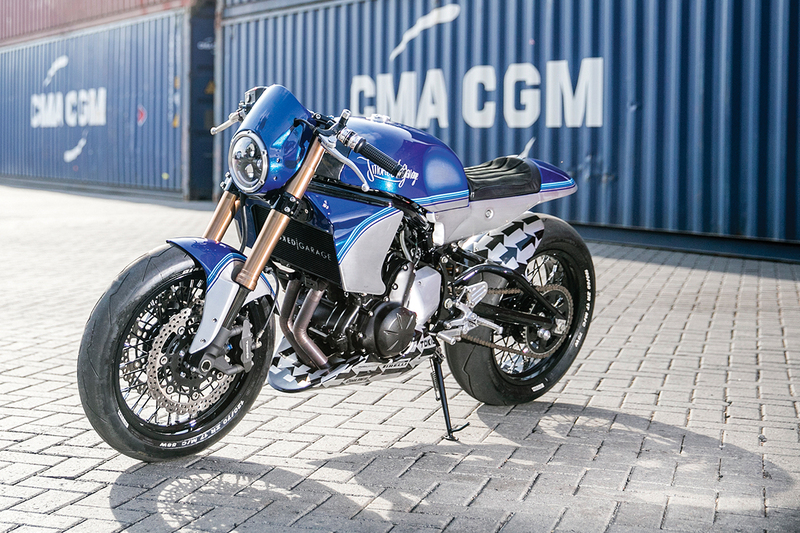 Rolled out into the light as a finished motorcycle and it’s as clear as day that Smoked Garage has perfected the build of Kawasaki’s middleweight Ninja 650 and this Cafe Racer examples joins Bronco and their Urban Scrambler at the top of the pile. Tick, tick, tick… Boom! 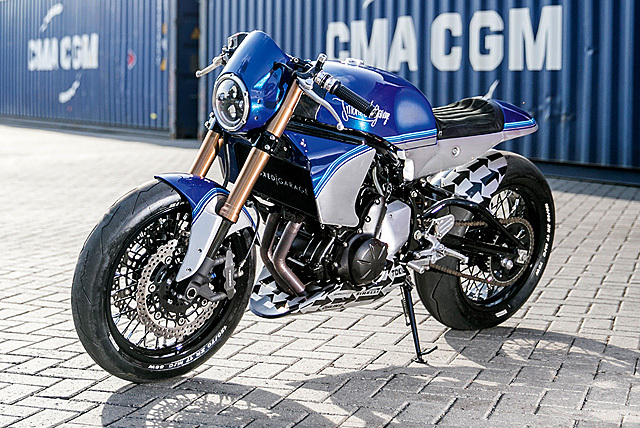 Your alarm goes off, it’s 5.30am, your eyes snap open scanning the room…, your thoughts are now crystal clear, there is no time to sleep when in your garage there is an utterly sublime motorcycle begging to be thrashed. Like what you see? 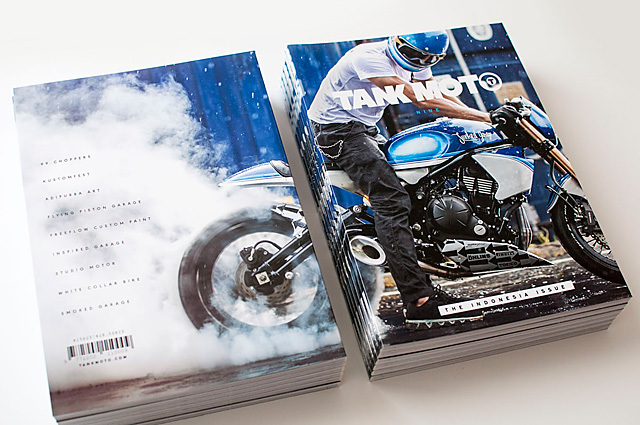 Then check out a whole bunch of bitchin’ bangers in the latest issue of Tank Moto.